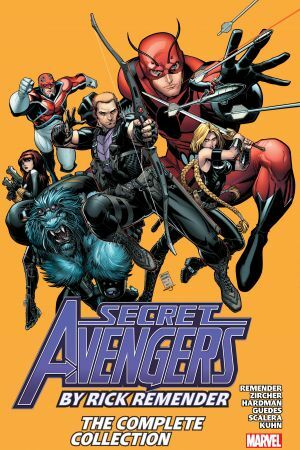 Collects Secret Avengers (2010) #21.1 and #22-37. 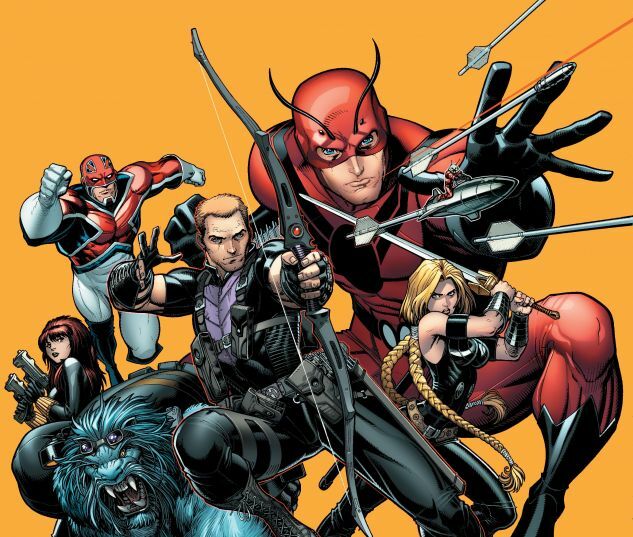 Hawkeye takes over Steve Rogers’ covert Avengers team! And with a new leader comes a fresh lineup as Giant-Man, Captain Britain and the original Human Torch join Black Widow, Beast, Valkyrie and Ant-Man as Earth’s stealthiest heroes. But will Hawkeye draw the line at Cap’s final recruit: the deadly Venom?! As the Avengers battle the X-Men, Thor takes a secret squad to stop the Phoenix by any means necessary! But on the Kree homeworld, can Ms. Marvel and the Protector break free of Minister Marvel’s influence to aid their former companions? As Hawkeye and Black Widow seek to unmask the spy in their ranks, a new Masters of Evil forms — and the Shadow Council’s true goal is revealed! But the robotic Descendants’ rise may end the Secret Avengers once and for all!